Woolworths has selected Business Modelling Associates to conduct an extensive review of its entire supply chain network, spanning Clothing & General Merchandise (CGM) and Foods. Business Modelling Associates (BMA) is Southern Africa’s leading supply chain design and solutions development firm. With operations in South Africa and the UK, BMA helps clients compete and win by giving them the tools to visualise, analyse and optimise their key decisions. BMA is the exclusive distributor in the Sub Saharan region for LLamasoft, the global leader in supply chain design software solutions, and will utilise their market leading technology, Supply Chain Guru®, to perform the network design at Woolworths. The network analysis study forms part of an investment decision journey that Woolworths has embarked on to analytically explore and quantify key supply chain decisions that will impact the business over the next 10 years and beyond. 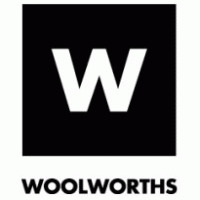 Woolworths is one of South Africa’s leading retail chains with more than 400 stores throughout Africa and the Middle East. Woolworths core philosophy is underpinned by quality, offering customers consistently high quality merchandise at affordable prices and incorporating innovative developments across the business.